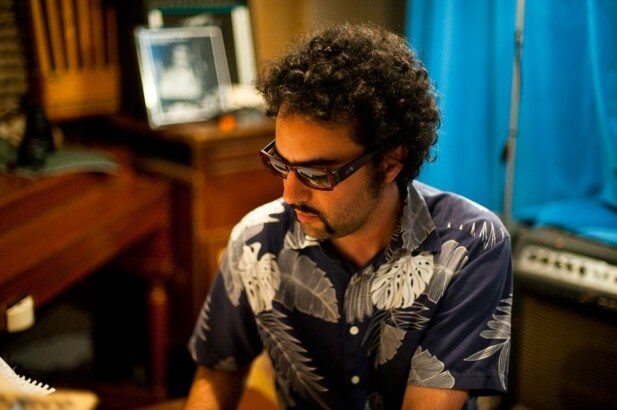 Gabriel Roth is a Grammy award winning engineer, the founder and chief producer / engineer of Daptone Records, and a prolific song-writer, having penned over 150 songs. Roth a/k/a “Bosco Mann” is highly regarded throughout the industry for his detailed and analog approach, a rare find in today’s computer-obsessed production world. Since the mid-90s, Roth has been honing his craft, first under his label Desco Records and then as co-founder of Daptone Records, producing, writing and arranging for the numerous artists on the label. His own band, the Dap-Kings, are the foundation of the Daptone House of Soul Stable, backing the label’s premier act Sharon Jones, and sought after by a growing list of premier artists (a list that includes Rod Stewart, Mark Ronson, Amy Winehouse, Michael Buble and Lily Allen). A superior bass player, Gabe is enlisted as a member of the Dap-Kings to perform on a wide range of sessions, but his talents as a producer, arranger, engineer and mixer immediately place him in an elite class. Early mainstream followers included Kanye West (who sampled Sharon Jones and The Dap-Kings’ “Pick It Up, Lay It In the Cut” on Rhymefest’s “Brand New”) and Hank Shocklee (who hired the Dap-Kings to perform on the American Gangster Soundtrack). Mark Ronson quickly followed and what resulted was Amy Winehouse’s Grammy award winning, multi-platinum smash “Back To Black” (for which Roth received a Grammy as engineer). Most recently, Sharon Jones and the Dap-Kings’ “I Learned the Hard Way”, produced by Roth and comprised largely of his own songs surpassed 100,000 copies sold, the second consecutive SJDK release to have such distinction.